I'm no stranger to the medium of the microcassette, having archived hours of field recordings and musical sketches since the early 90's. I have childhood memories of manipulating the tape speed and rewinding or fast forwarding while playing my dad's microcassettes (of mostly lectures). I always held onto the tapes I made planning to integrate them into more high fidelity recordings. It wasn't until 2007 when I met Hal McGee that I started to perform live with the microcassette recorder (sometimes as my only sound source). 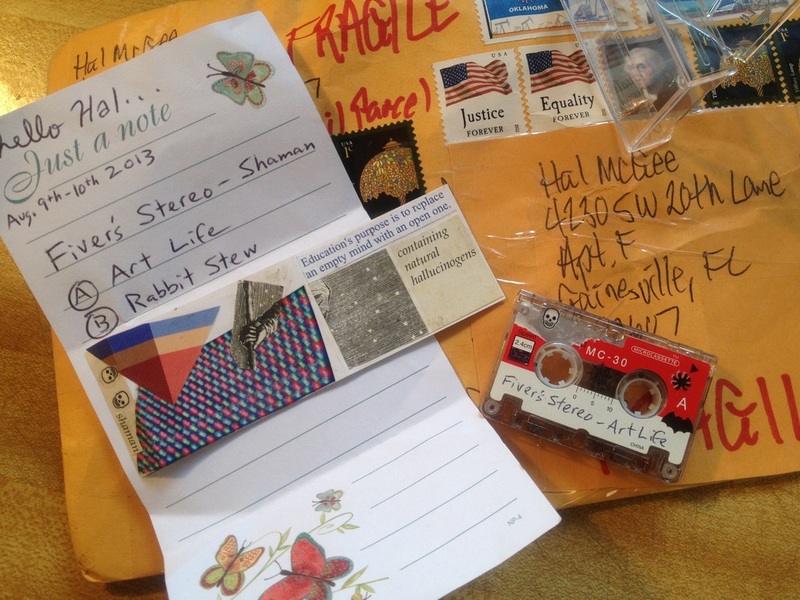 By 2009 Hal was producing international microcassette compilations and throwing events such as Dictaphonia Fest that focused on a dying format. 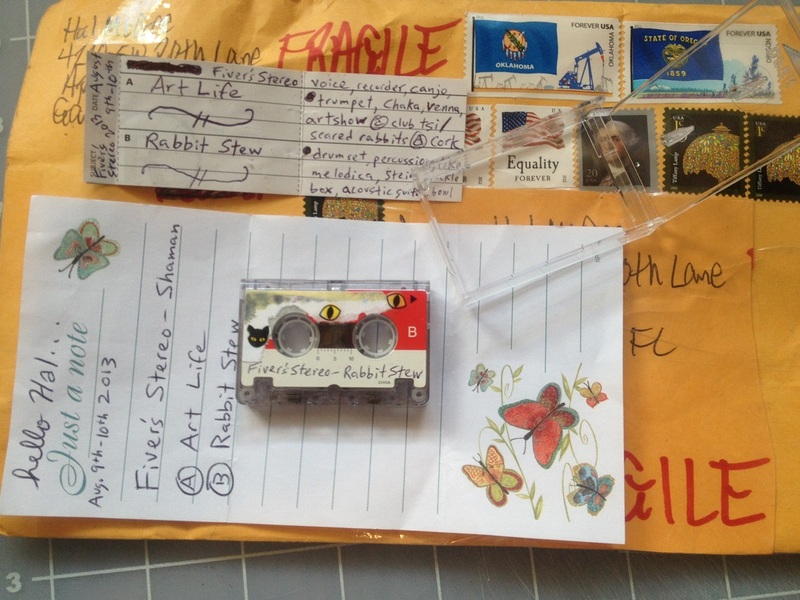 Needless to say I was thrilled when my blank microcassettes showed up in the mail in August of 2013 for my inclusion in the Museum of Microcassette Art. I planned on taking my time with my contribution, but the blank tape acted beckoned me like a muse and by the next morning my MOMA tape was complete. An improvised catharsis in one evening on the town involving a duet with my dog Chaka, tales of a stage hand (referencing interactions with Ringo Starr & Billy Corgan), mingling with fellow artists at club TSI for Joe Van Dykes art & music showcase, e.v.p., & various objects. Essential cut ins and over dubs include singing bowls, drum kit, vichitra veena (in need of a tuning like my energy on this evening), steim cracklebox, broken trumpet, & canjo. 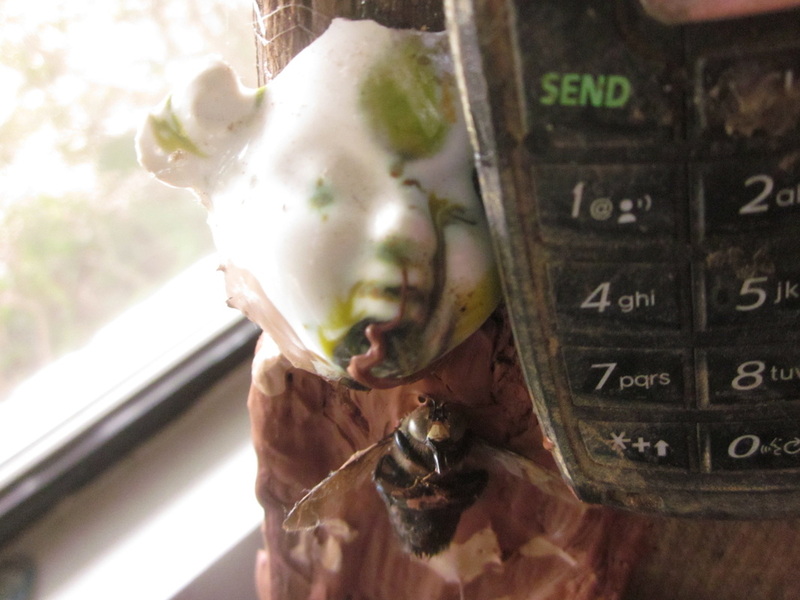 Exhibiting 2 paintings (WASTE NOT / WANT NOT) & a fresh mixed media piece (cellular telephone, coal, rat skull, bee, porcelain face, x-ray film, paint, broken mirrors, circuit board, & sea glass on wood) in my friend Joe's show was an honor (ART LIFE - ha ha). A "save the world' noise set with Scared Rabbits at CoRK art collective and social interactions along with cut ins = RABBIT STEW. It's ridiculous and lewd at times (like reality) but I hope that the sounds contained in "Shaman" encourage you to enjoy life.